After a constitutional amendment in 2010, the central government in Pakistan largely devolved the responsibility for education to the provincial government. In this context, the southeastern province of Sindh prepared its first four-year education sector plan in 2014 (SESP 2014-2018) with the objectives of increasing access to education, improving learning outcomes, and strengthening governance and accountability. As this first sector plan comes to an end, the Government of Sindh has requested technical support from IIEP-UNESCO to review the plan’s achievements and prepare a new SESP for the period 2019 to 2023 that builds upon the lessons learned. This support is part of the Global Partnership of Education Sector Plan Development Grant (ESPDG) for which the World Bank is the grant agent and UNICEF is the coordinating agency. Over the past five years, the Ministry of Education and Literacy of Sindh’s School Education & Literacy Department has undertaken a number of initiatives, including an improvement plan for 4,560 high-priority schools that is expected to have a direct impact on over one million students enrolled in government schools, the recruitment of teachers and head-teachers through a merit-based mechanism, and the placement of a monitoring system to ensure that teachers attend school. However, access to education remains a major challenge with an estimated six million children between the ages of five and 16 years old still out of school. As part of IIEP’s technical support, the government of Sindh is currently finalizing an Education Sector Analysis. 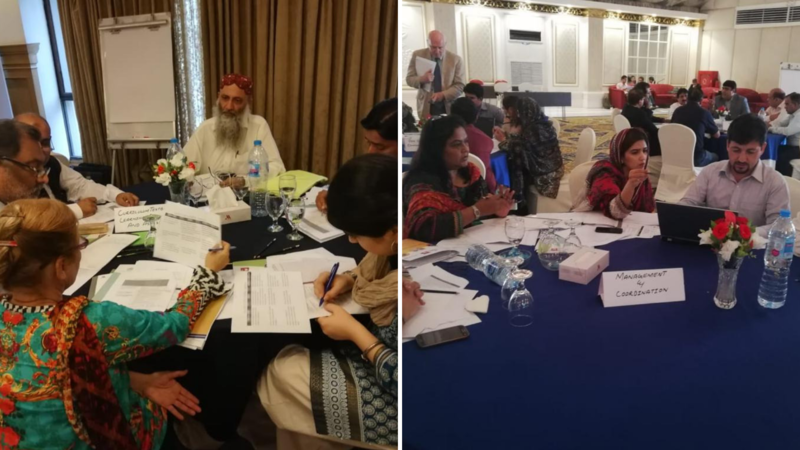 Two strategic planning workshops also took place in Karachi with 60 staff from the School Education and Literacy Department, associated departments and wings, members of civil society, and development partners. The first workshop, held on 29 and 30 August, focused on identifying priorities for the education sector and formulating objectives for the SESP 2019-2023. The second workshop, held on 10 and 11 October 2018, focused on designing priority programmes and defining targets to be reached by 2023. Improving resource allocation and efficiency in the use of resources for long-term sustainability. The Government of Sindh is committed to addressing the challenge of ensuring good quality education for all children, in compliance with the Constitution of the Islamic Republic of Pakistan and the Sindh Right of Children to Free and Compulsory Education Act, 2013.